Hello everyone, I am a practicing architect and have done my B.Arch degree from Guru Nanak Dev University, Amritsar. Writing and exploring is my hobby and it is the main reason why I keep on updating new things regularly. found dis one to b cool..
u r blog s very helpful for all architecture student .Thank u so much for sharing with us . please help me find ‘form space and order’ by f. dk ching ………..
your work on this page is great! like the looks, layout n the fact that sbd in college took d time n effort to set it up! keep up d gud wrk! its an awesome effort on ur part info is gud! hope to c more frm u! Wanted to share some information on the “Jumthegap” contest through your blog. Please do read through the details and do visit the website. 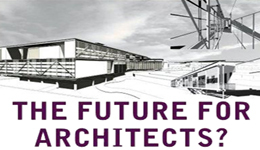 It is a great platform for architecture students and upcoming architects. Please do spread the word around through your blog. Roca, World’s No.1 Sanitaryware brand has kicked off the 3rd edition of the Roca International Design Contest called “Jumpthegap” on September 18th at the Waterdrop Stand in London. “Jumpthegap” is addressed to designers offering their visions of conceptually innovative bathroom products and solutions: new products, new spaces, or new uses and functions. The goal of this Contest is to improve our brand awareness, positioning and values among our future key stakeholders, by making the best-in-class. The contest is open to young product or interior designers and architects, as well as product design, interior and architecture students from all over the world born from 1974 on. The winning project will receive a prize of 5,000 euros and will be presented by Roca at the 100% Design Fair London 2009, an excellent opportunity for the project’s authors to make themselves known to designers, architects and companies of reference in the world of design. I realize that you are home decor-Modern design connoisseur 🙂 I’d like to hear your opinion/feedback on our products. Also, it’d be swell if you can place our link on your blog. Your web page is excellent.in future i will visit your web site.i will give you good ideas.this web site is very helpful to me.I think it is also useful to architectural students . Thanks for featuring one of our articles on your blog. You have a great site here. Cheers. I truly enjoy studying on this website, it contains wonderful blog posts. “Never fight an inanimate object.” by P. J. O’Rourke. Let me know if you are interested, we’d be happy to help.